Difficult clients wouldn’t know that delays, errors, and visa rejections are the order of the day at an international overseas consultancy. 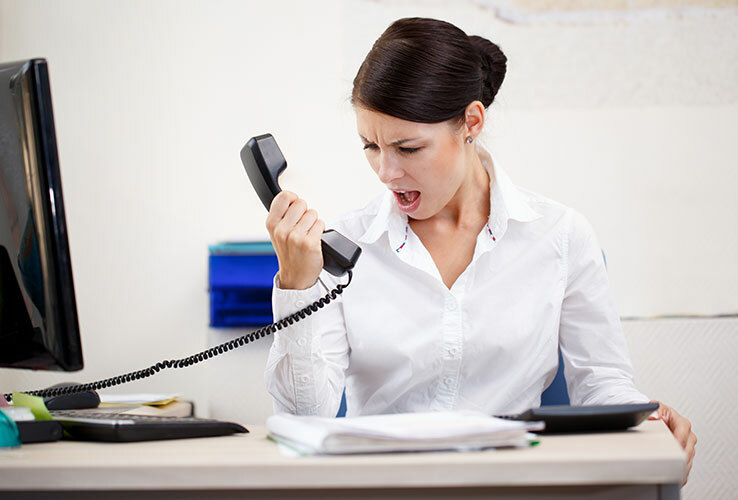 Complaint handling related to these issues poorly can send some of your difficult clients into a fit of rage. You can’t control the behavior of your clients. But you can prevent a situation from getting out of hand by learning some complaint handling techniques. There are hundreds of unpredictable ways in which visa applicants react to the same situation. Any kind of customer- related crisis can be solved if you act tactfully. For an international overseas consultancy, not all of your clients are likely to blow up when faced with problems. But some just love to create a scene. And that’s why your staff in your international overseas consultancy must know how to deal with difficult customers. Difficult clients of an international overseas consultancy can get angry over several reasons. Such reasons are unavoidable and bound to crop up time and again in the course of business. How are you going to handle complaints from a client upset by visa rejection? What should your staff do when a client visits your office just to vent out his or her frustration? The trouble is anything you might do or say in such a situation is likely to add fuel to the fire to your consultancy’s management system. First, help them calm down. Just let them vent all their frustration out. Don’t argue with them or try to defend yourself. Don’t even think about telling them it was their fault–even if that’s actually the case. As soon as you get some hint that a frustrated client is cooling down, divert the conversation toward solutions. Take immediate steps toward addressing the issue or at least show the client that something is being done about it. For example, talk to your supervisor about the issue. Send an email to the concerned authorities right in front of the angry client. You can ask a junior or an assistant or a colleague to conduct an urgent follow up on the problem. It’s all about showing these difficult clients that you really care about them and are always ready to help them out. When clients are dissatisfied they’ll complain just about everything and anything under the sun like student info system. But if you don’t listen to them, a complaining client will turn into an angry customer in no time. It is better to nip the problem in the bud before such situations evolve into something even more difficult to manage. So the moment you come across a complaining client, in your international overseas consultancy, you need to pay attention to what they are saying and show them that you care. Nagging clients hover over your head like a helicopter. If you don’t find a way to discourage them, you’ll soon find yourself spending most of your office time answering the same questions to these difficult clients over and over and over again. Nagging clients usually call your international overseas consultancy with requests for doing things faster. What’s worse? Some may even want you to do things that ignore the due process. Nagging clients can be friendly, rude or irritating. Such behaviors are prompted by their beliefs that things get done only if you maintained good relationships with counselors in the international overseas consultancy. You can also motivate them by following up frequently, even at the risk of coming across as rude or irritating. Remind them of the process. Request them to go through written documents that explain the process, stages involved and timeframe. You can also email them links to authoritative websites that do so. Tell them neither you nor anybody else can skip certain procedures. Remind them in the friendliest manner possible that you need to work to finish things. If you have to spend half of your office time answering calls or speaking to nagging clients, how can you cross check documents, send emails Visa Case Officers and respond to their emails? Get someone else to explain it. Sometimes you may not want to ruin the good relationship you have with a nagging client. In such a case, let one of your colleagues handle the phone call or do the explaining. Of course, all of this can be finished in a polite and respectful manner. Be careful not to make difficult clients feel uncomfortable or hurt their ego. Get all of their details exactly correct. Look at the client when they are talking. Not looking at them implies disrespect or lack of concern. Keep your body erect or lean in the direction of the client. Stand up if they are standing. Slouching in a chair to the sides or back implies that you are simply disinterested. Keep your international overseas consultancy arms open, as folded or crossed-arms signifies you don’t believe what the client is saying and are not willing to discuss it.